Holywell Rambling is one of the oldest rambling clubs in North Wales. It was formed in 1956 as a result of a conversation on a bus journey. This resulted in one the participants, Fred Long, calling a public meeting to form a Rambling Club. The club is affiliated to the Ramblers’ Association but its walking activities are totally independent. It does however support all the RA objectives and members have and continue to hold posts within the local RA structures. Our programme includes brief descriptions of our walks which should give an idea of the degree of difficulty. Potential and new members are advised to contact the leader for further information about the walk. This will include suitability of equipment. 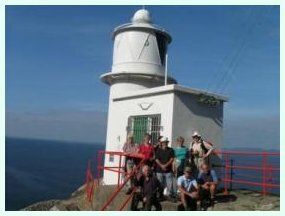 Over the years the club’s programme has developed from a pattern of 1 walk every 3 weeks with the occasional weekend away to weekly walks, regular weekends and holidays. The latter have been both within the British Isles and in Europe. At least 1 walking holiday is planned every year on the Continent. We operate a car sharing scheme details of the meeting points are in the programme. If you do not have access to a car contact the leader a few days before and alternative arrangements can usually be made. We have recently joined The Walking Partnership. This new partnership, supported by Ramblers Worldwide Holidays, provides direct financial contributions to local walking groups to help with organising group walks, encouraging people to get out walking, helping to clear and improve footpaths, providing equipment to help walkers etc. Over the past 65 years, Ramblers Worldwide Holidays has given many millions of pounds to assist walking charities and conservation projects in Britain and the countries they visit on their worldwide holidays. Now our group can benefit directly. 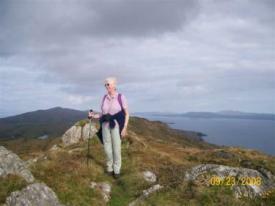 Ramblers Worldwide Holidays operate group walking holidays in the UK and all around the world. Each holiday is accompanied by a qualified walks leader, so you can leave all the organising to them and just enjoy meeting like minded people and of course, some fantastic walking. Holidays are graded in terms of difficulty, and there is a full range from sightseeing right up to hut-to-hut mountain treks.